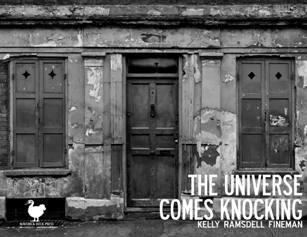 Kelly Ramsdell Fineman - "The Universe Comes Knocking"
Kelly Ramsdell Fineman lives in Williamstown, New Jersey, and has won awards from Writer's Digest for her work. Her poems have appeared in several anthologies, in journals including Up & Under, Chantarelle's Notebook, and U.S. 1 Reports, and in books for the commercial and educational markets. Her first picture book, At the Boardwalk, was published by Tiger Tales Books in March, 2012.